Mark your date on Saturday, January 18th. RSVP here. 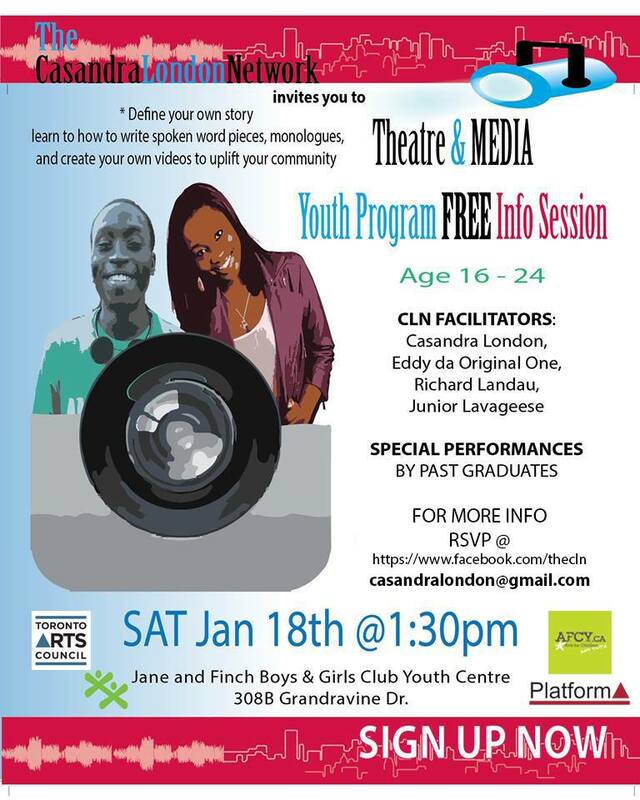 I recently started a partnership with the Casandra London Network (CLN) for their youth program at the Jane-Finch area. I will be guest facilitating or performing or making a cameo (you know the last one is a joke). The CLN is a community driven initiative fusing together the art of theatre and journalism for diverse youth ages 19-28 making social and political differences in marginalized areas. Over the course of five months from January to May, eight to ten youth will learn how to collectively create a play, produce an online video news report, and develop an event to showcase their work in the community.